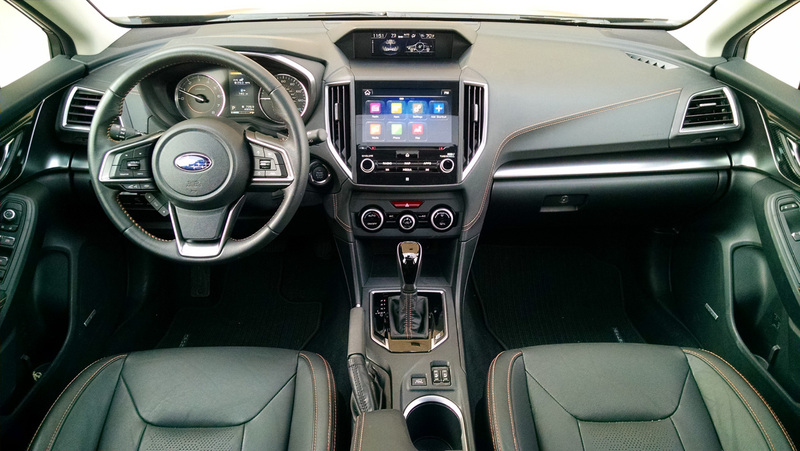 The 2018 Subaru Crosstrek arrives as the second generation of a very popular model that has become almost iconic on the streets and backtrails, selling very well for the brand that has made all-wheel drive their standard bare. 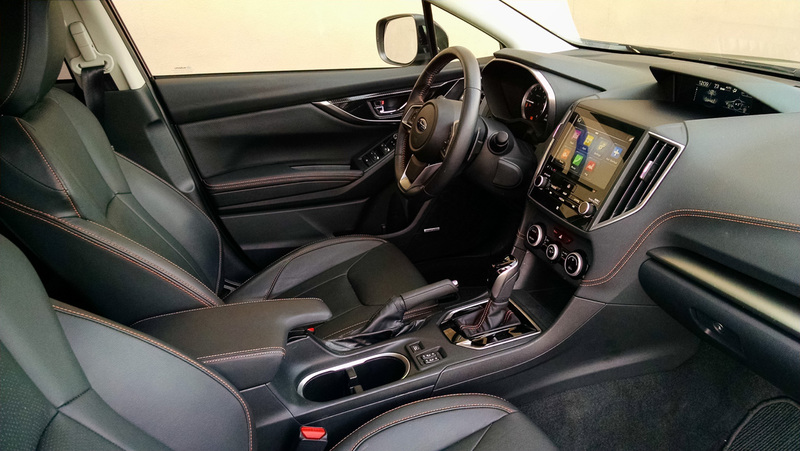 Based on an all-new chassis the 2018 Crosstrek is based on the Impreza compact car just as before and rides on a slightly longer wheelbase, now 1.2-inches longer and fractions of an inch larger in footprint in all directions. 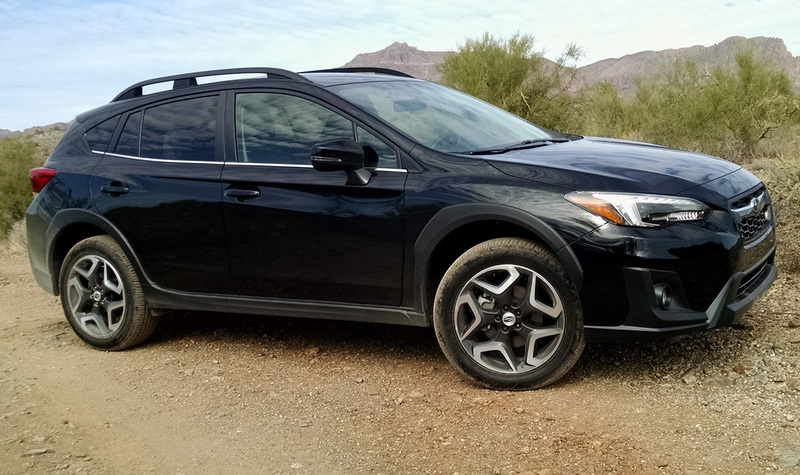 Styling is evolutionary such that it’s immediately recognizable as a Crosstrek, and in the black color of our tester many wouldn’t even know the difference at a distance from the old one. 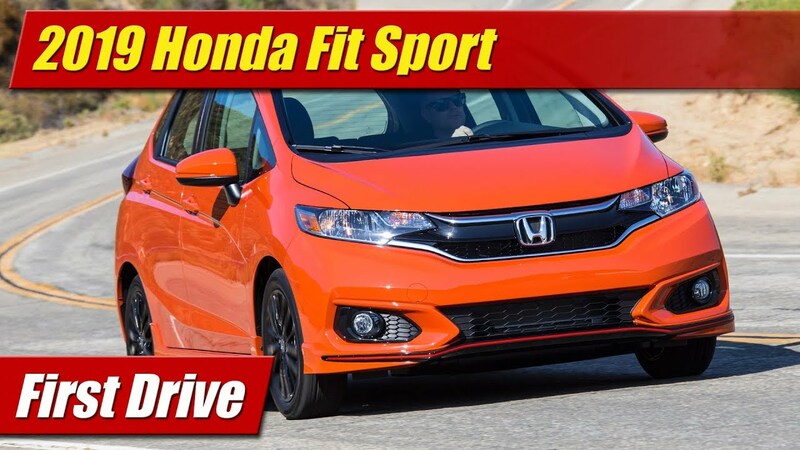 The details however are quite new from the design of the headlights and tail lights, to the wheels and plastic cladding, and its fascias front and rear. 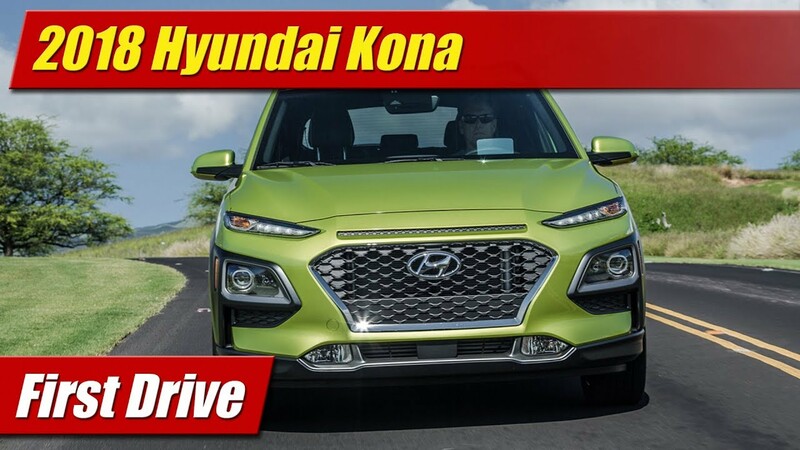 A fully loaded Limited, our tester featured 18-inch alloy wheels, LED headlights, and fog lights down in the lower front fascia. Tail lights are now of a horizontal design and sleeker than before, the one main place on the new Crosstrek that looks significantly different. 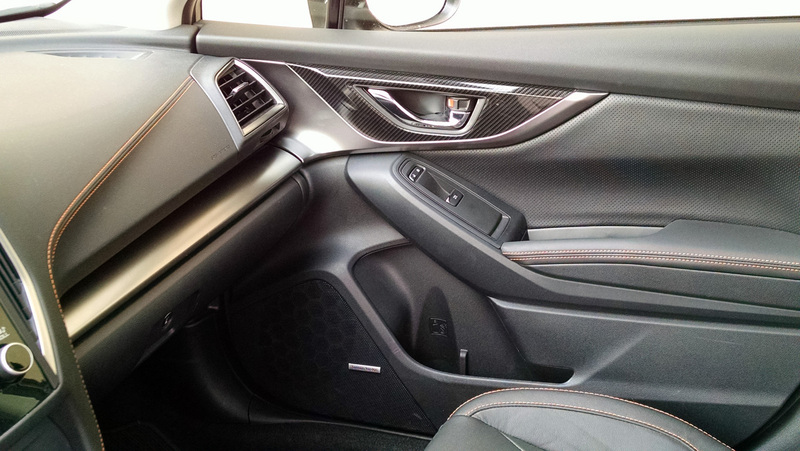 Inside you will find more evolutionary design updates that now include a higher quality palette of materials including a handsome collection of aluminum and carbon fiber look finishes and in our tester leather seating with orange accent stitching. 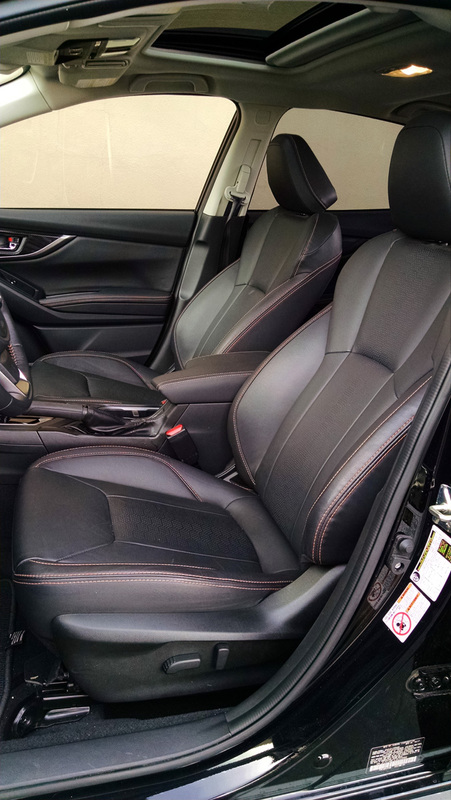 The seats are firm and flat, typical of Subaru. 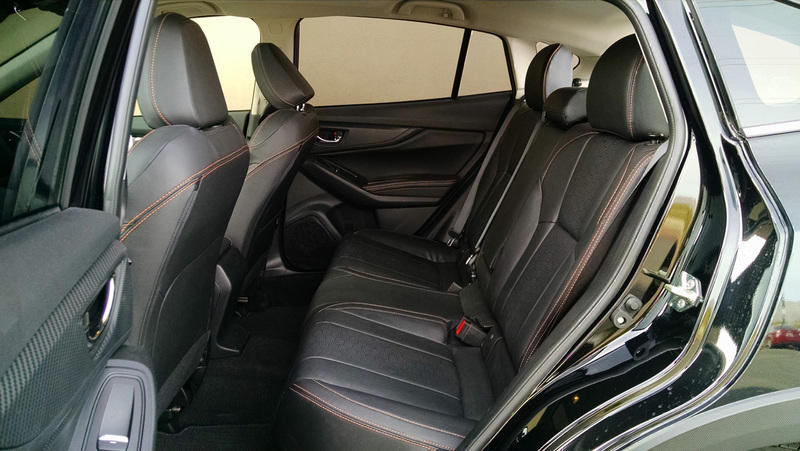 They remain comfortable but lack side bolstering and lumbar adjustment for its as tested price of $30,655. They are heated however and a welcome place on cold mornings. Storage space is reasonably good with a large cubby ahead of the shifter for small items like your phone. The console bin under the armrest could be larger for this class however. Rear seat passengers will find a pretty high seating position for this class and plenty of head and leg room. Missing are a few amenities like HVAC vents and charging ports that some competitors offer here. 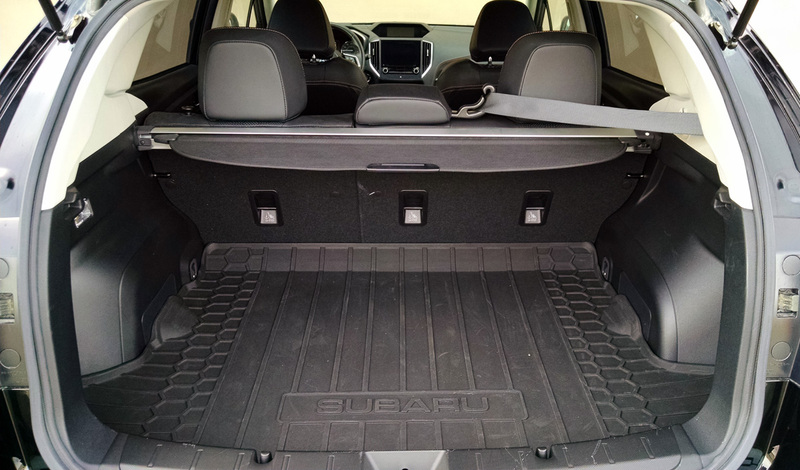 Motivating the Crosstrek is a revised version of Subaru’s venerable 2.0 liter Boxer four-cylinder engine now with 152 horsepower and 145 pound-feet of torque by way of the addition of direct fuel injection. 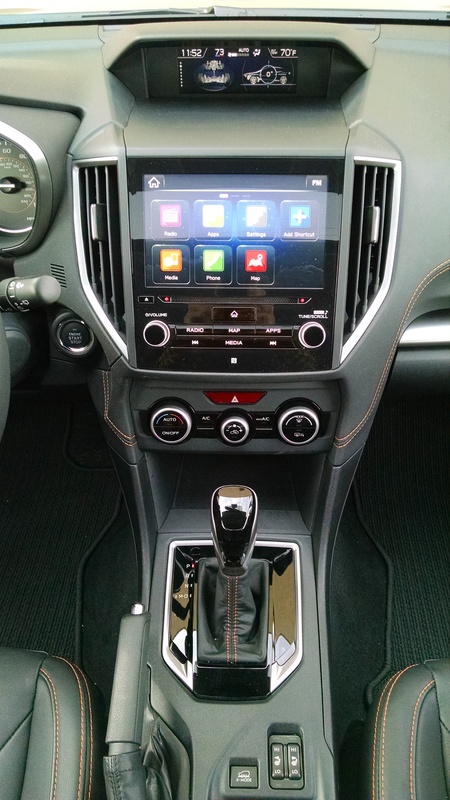 In our tester it came with a continuously variable transmission (CVT). 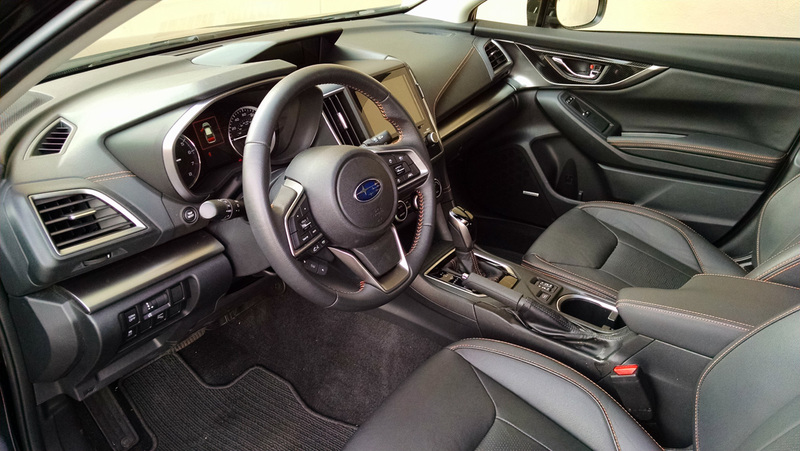 The transmission offers a simulated 7-speed automatic in feel sometimes and can be “shifted” with steering wheel mounted paddles but these aren’t all that effective unless you are meeting certain driving conditions deemed by the computer. Luckily a six-speed manual is still available. Fuel economy is rated by the EPA at 27 mpg city, 33 mpg highway and 29 mpg combined. The latter is what we achieved and impressive enough. Unimpressive was the engine’s roughness and general noise vibration and harshness levels, especially at start up. In neighborhood driving we found the new chassis to feel softer in its tuning than last year’s generation. While the new body structure is some 70% stiffer, they seem to have lightened up on the suspension as it feels less robust than before. Going over speed bumps and driveway entrances in town caused noise in the suspension at times which was amplified greatly when we ventured off the pavement to our desert trails and washboard road. Here, the ribbed vibrating washboard road surface caused a rattling and resonance in the suspension that was the noisiest and harshest we have experienced in any vehicle yet. 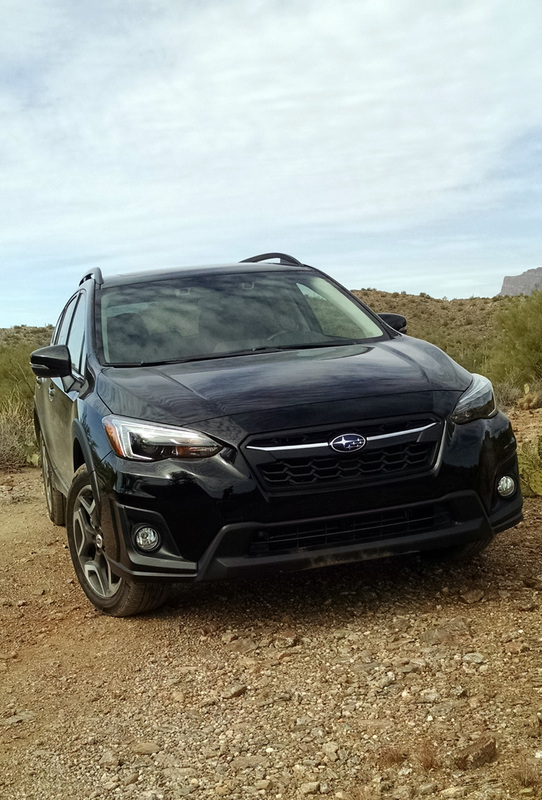 This means that taking the Crosstrek where Subaru markets is its home turf is the least of its strengths, a driving experience that most all its competitors present much better in terms of noise and poise. 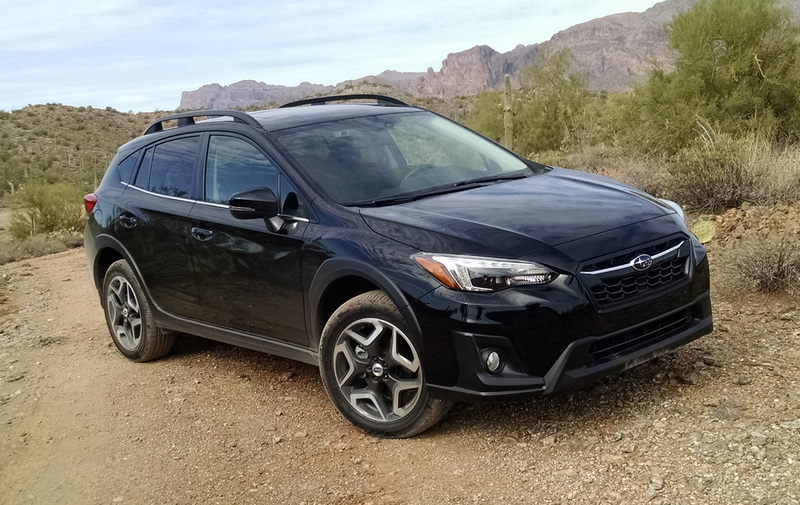 It was a surprise that this vehicle of all things from Subaru was not all that comfortable in the wild. GET EMAIL ALERTS ON NEW VIDEOS! Copyright 2013-2018 © Steed Publications Inc. All rights reserved. The opinions expressed may not be that of our sponsors, advertisers or manufacturer's of products we review.